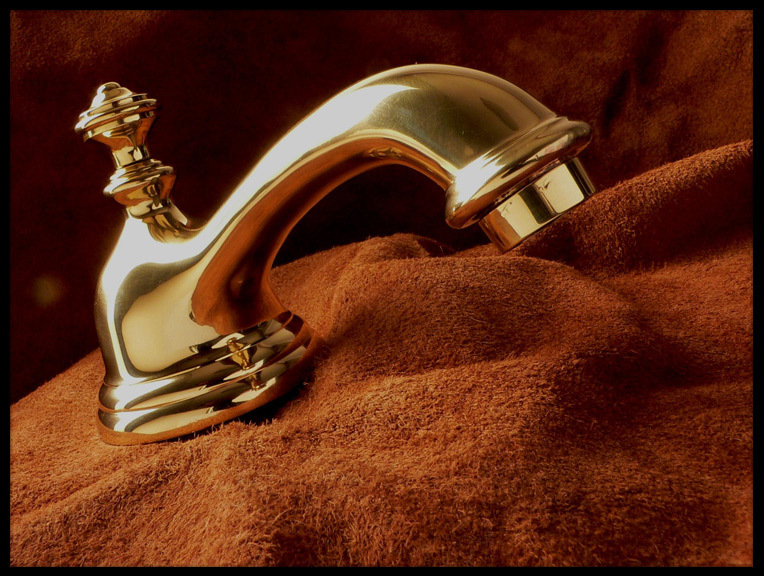 Faucets, spouts, drains and sink hardware are a focal point of your kitchen, bath, shower and vanity. 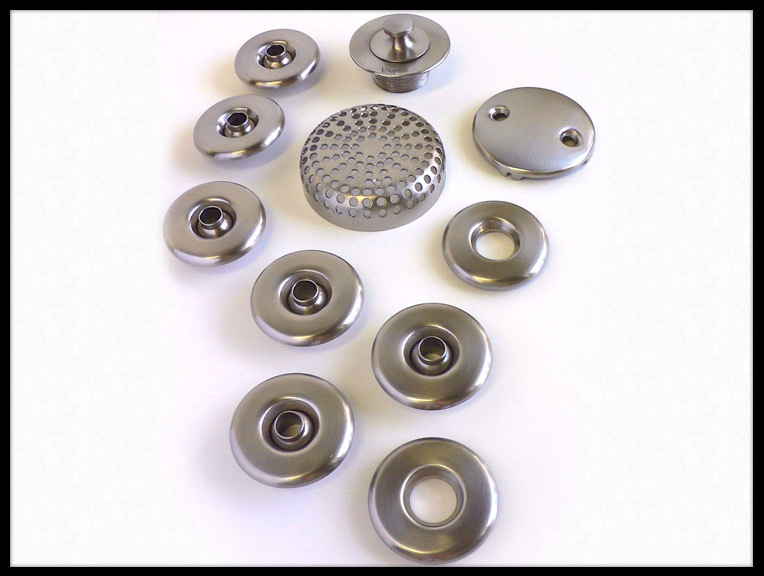 These sets are often beautiful designs but the constant exposure to water, soap and cleaning chemicals can wreak havoc on the metal finishes, leaving them dull and worn and covered with unsightly pits and corrosion spots. Spa and hot tub hardware is especially vulnerable due to the heat and constant immersion. These finishes can be renewed and restored to original or changed to one of today's popular finishes like Oil Rubbed Bronze or Satin Nickel. An extra durable polyurethane clear lacquer can be used to extend the life of the finish if you desire. 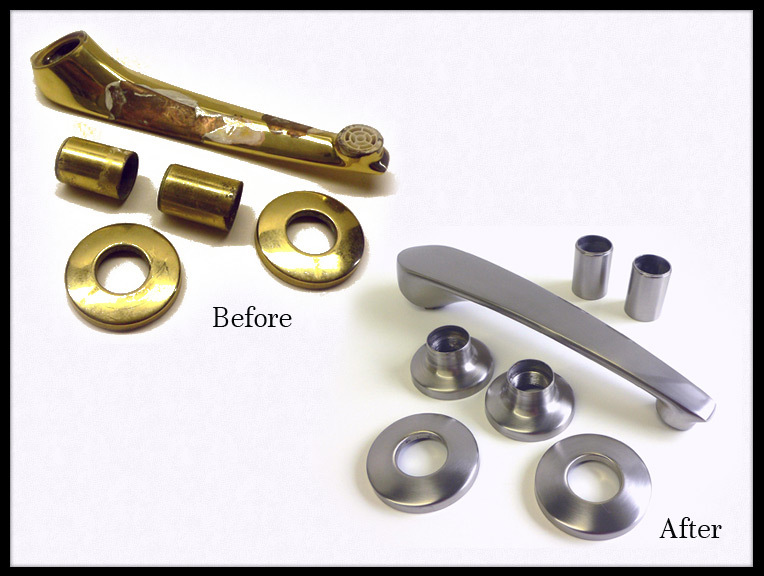 While the older spa hardware is made of solid brass, the newer sets are plastic which are not intended to be refinished. With careful treatment we can replate these as well. 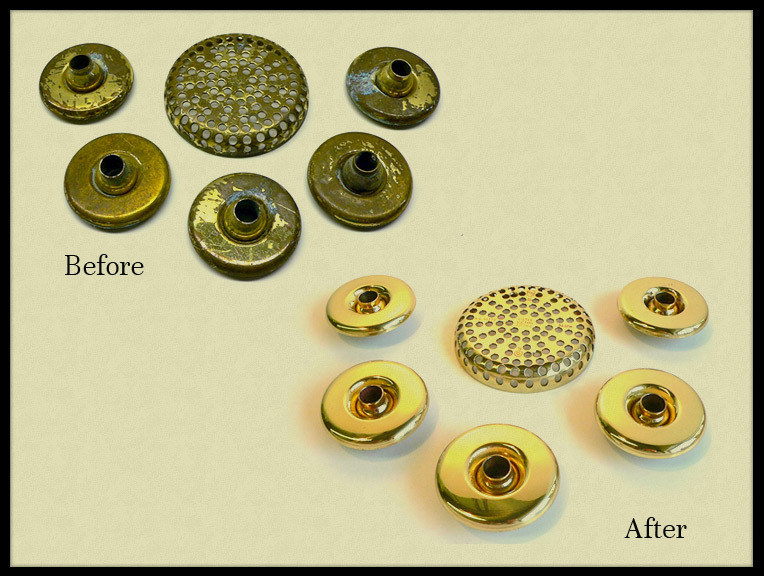 High end faucetry such as Sheryl Wagoner and similar styles are often gold plated and we offer 24kt gold plating in polished or satin finishes to restore the rich, luxurious appearance of these sets at much less cost than replacing them with new.